What? MORE Strategies that Don’t Work Anymore…. What? Here are MORE strategies that don’t work anymore. Florida Realtor just interviewed me for an article on the sales strategies that agents are still using–but that don’t work. I thought that was such a great topic that I want to share them with you here. So, these blogs will each explore 2 habits. This is great for managers to think about, because these habits and strategies can wreck your training–or make it effective! Managers: How are you teaching your agents to qualify buyers and sellers? Do you have them role play their qualifying procedures? Do you have them identify knockout factors and establish standards for working with buyers and sellers? (If you want great ‘courses’ for these things, check out Your Complete Buyer’s Agent Toolkit and Your Complete Power Listing System. They’re resources with all the background and documents agents need to do great qualifying interviews. And, they’ll provide you comprehensive courses in those subjects, too). Managers: Do you work with your agents to create visual presentations with real substantiation for their claims (like, ‘our listings sell faster’). Do you help each agent create their personalized presentations to spotlight that agent, or do you rely on general company overviews (won’t work anymore!). Resources: If you want great ‘courses’ for these things, check out Your Complete Buyer’s Agent Toolkit and Your Complete Power Listing System. They’re resources with all the background and documents and visual presentations agents need to do great qualifying interviews. And, they’ll provide you comprehensive courses in those subjects, too). Do you have some creative training methods in your teaching repertoire? If you do, your students will be much more appreciative! I’ve designated June ‘Trainer Appreciation Month’. So, all my blogs for leadership are focused on training. Why? As a real estate owner or manager, you have only 2 ways to increase your production: Hire it or train to it. I really appreciate trainers, so here’s information to make your presentation or workshop entertaining and riveting. If you’re presenting in front of 2 or hundreds, you must wonder at times whether your delivery is interesting. Too often, we drone through the subject, stop to tell a joke or two, and just trudge through the trenches of information until the clock tells us to stop! Are your students nodding off as the day goes on? Do you frantically wonder how to keep their attentiona��all day? The answer is not what you think it is. Recently, I taught my Instructor Development course to real estate professionals and affiliates. Ia��ve taught this course for about fifteen years. 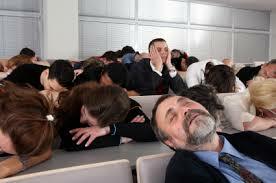 If I just learn how to be a more captivating speaker, I can keep the studentsa�� attention for hours on end. NOT! In todaya��s frantic world, the person in front of everyone cannot hope to hold studentsa�� attention for more than 10 minutes at a time! If you think Ia��m wrong, just count the number of commercials in a TV break. These commercials are down to about 15 seconds apiece. The images go by so fast you can scarcely count them. In fact, wea��ve become a society of easily distracted, multi-tasking, not very focused beings (watch pedestriansa��or driversa��in action with a cell phonea��..). Alternative delivery methods: all those methods used to teach that are NOT lecture. Examples: Town hall, task force, case study, role play, action plan. Instead of talking through each point you have on your PowerPoint slide or in our outline (boy, is that riveting! ), use town hall, task force, case study, and role play to teach. If you’re not comfortable switching out of ‘lecture’ style, take an Instructor Development course or see my resource, The Ultimate Real Estate Trainer’s Guide to learn those methods, and practice using them in class. Youa��ll find your students know much more than you think they do about what youa��re teaching. Youa��ll be able to clarify points of concern, use the talents in your class, and actually provide a stimulating, active learning environment. The result: your students will be energized all day (and you will be, too!). Secrets to Fill that Classroom and Gain Raving Fans! Here are secrets to fill your classroom with enthusiastic attendees–and gain raving fans! Having trouble getting them to training? Authored by one of our Senior Career Coaches, Jodi Sipes, M. A., this blog shows you how to market your training to attract your agents and get them excited as students! Jodia��s advanced education in adult learning, plus her years of experience creating and implementing exceptional training for new agents, gives her a unique perspective. Here are invaluable tips as you take action to control your income in these shifting markets. Youa��ll make your training an awesome recruiting tool, while making it effortless to implement training week after week. Dona��t just list the topics you are going to present. Create themes. For example: Listing month! New Year Planning! Spotlight on Buyers! Now that you have the over view of training and components put together, make sure that they compliment and support each other. For instance, when you are coachingA�new agents with the Up and Running in Real Estate program, you should have supplementary training/practice days in your office. This is also a great place for experienced agents to grow as trainersa��plus, their time will be saved, as they will teach everyone at once, instead of having a bunch of new agents knocking on their door with questions all the time. We see lots of training calendars in our training consulting. Most of them are dull as old brick! Dona��t just list the topic. (How exciting is ‘All about Listing’…..) Instead, get creative. Make the topic interesting, even provocative. Put a new a�?spina�� on the topic. For ideas, read the names of programs given at your state and national conventions. Some of the topic names are really creative! Dona��t just teach the curriculum. Find ways to expand that subject from all the angles. For example: When you have a new agent training section on listing presentations you should have a top Realtor from your office give a demonstration on an effective listing presentation or an effective CMA. When you work with Buyera��s presentations, have a lender come explain the issues and requirements Buyera��s face. Lead follow up and business planning create a good time for software vendors to show their programs. Marketing sections offer an opportunity for affiliates to show how they can support agents, and for vendors to show how their products can support agents. These supplementary classes are great for all agents of all levels. Ita��s also great to incorporate casual (brown-bag luncha��agent a�?Rapa�? session) support groups to encourage agents to share their ideas and frustrations. This creates a a�?teamworka�? feel to your office, and helps agents through current challenges. When the manager shows up at these for the first part, agents can get their questions answered in a format that answers these for many agentsa��saving the manager time! Here are 3 surefire ways to get your agents to attenda��and get recruits to attend, too! Title representatives, mortgage brokers, escrow companies, home inspectors, and others can support your training calendar by adding lunches and other incentives to improve attendance. The best benefit is that this is a win for everyone, and forges bonds between agents and affiliates. The benefit for the affiliate: they get in front of your agents and get to know thema��building trust. The benefit for the agents: they get hands-on training from people who are a�?out there doing it now,a�? and they get to know a variety of affiliates so they can decide if they would like to do business with them. For new agents, create a booklet that details all the classes you expect them to attend in their first year. You can use this to set mutual expectations at the time of hiring. Check off each class as they complete it, and celebrate their growth! Everyone should celebrate when they get their first listings and sales, too. The booklet helps them keep it all straight, and is a tool for you to keep track of their progress, as well. Have drawings or special prizes and recognition at meetings for the agents who grow to a new level through the office training. Use their testimonials when you market the classes to your agents. When an agent admires the performance of another, they will want to model what they do. Remember that putting together world-class training is a process, and will not be all you want it to be right away. It takes planning, support from your agents and affiliates, and time to catch on and develop. You can grow and improve each year! We are here to support your agent development systems. 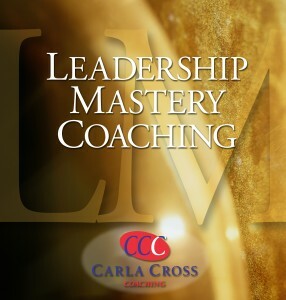 Talk to us about coaching you in developing world class training. Youa��ll go further faster, and have time to do all the other management duties you know you should be doing! 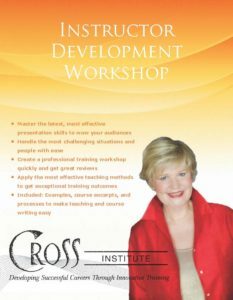 Can You Join Me for my Innovative Instructor Development Workshop? P. S. New–We also put creative teaching methods into YOUR course–while you’re in class. In less than 2 weeks, I’ll be doing my unique version of Instructor Development Workshop. * (May 22-23 in Bellevue, Washington). One of the most challenging, yet most effective teaching method, is using small groups. These can be task force, case study, and role play. I say ‘most challenging’, because these small groups frequently go wrong. Why? Because the facilitators don’t know how to organize, run, and summarize them correctly. So, recently, I added this 12-point checklist to use to assure your small group exercise will go as you want it to go!A� Grab the 12-point checklist at the end of this blog. Here’s how to know if you’re wasting your time training. Really!!! !A� Just because you ‘have training’ doesn’t mean it’s effective. Every company says they ‘have training’. Yet, whether you’ve been in business 2 days or 20 years, you’ve probably felt frustrated that those hours spent in class–listening to someone at the front (the ‘expert)–didn’t do you any good. There are reasons training doesna��t worka��and herea��s how to make it work for you, so you dona��t waste precious hours in training rooms–either as an instructor or as a student. Dona��t forget: Get the Analysis of your Sales Performance Skills worksheet at the end of this blog. This is great for managers to use to plan training needs and for agents to use to assure theya��re refining the skills that make a difference. Training: Taught Right or Not? Training doesn’t work because it’s not taught right–and the people in the class aren’t doing what needs to be done for training to make a difference in their lives. 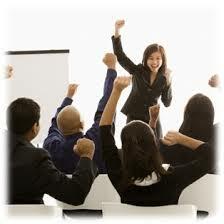 A�Training must have action inside class to be effective for you. If you’re the instructor, you must use ‘alternative delivery methods’ to get those students into action in class. What are alternative delivery methods? All those methods used to train that aren’t lecture. (see below). A�I mean we have to look at real estate as a a�?performance arta��, not a a�?knowledge pursuita��! Big question for you: Think of your last 3 trainings. What were you doing in class? Listening to the a�?experta��? Or, were you putting to work what you were learninga��while in class, so you could get valuable feedback before you a�?practiceda�� on real peoplea��your clients? If appropriate, you need to differentiate (like finding mistakes in a purchase and sale agreement). If appropriate, you need to practice the actions in class and then go out and do it with a a�?real persona��a��the clienta��and come back and tell how it went (practice a listing presentation, do it a�?for reala��, and come back to class and refine it). None of these things happening in class? Make it work anyway. Take the a�?actionablea�� items you learned in class and go do thema��for reala��within 3 days of going to class (otherwise we only remember 10% of what we heard!!!!!). Now youa��ve made your own action plan. Trainers: I did a series of 5 videos showing how to make your training work. See them on my uTube channel. Note: I’m a bit shocked when I hear that those who took a ‘Train the Trainer’ course didn’t learn any of these methods. Just learning how to drone on (in lecture) just doesn’t cut it with today’s audiences–or with assuring your students actually can apply skills! A�Real Estate: Performance Art or Knowledge Pursuit? A�Leta��s be honest: Do you know someone in your office who seems to know everythinga��but doesna��t sell a stick of real estate? Sure. Thata��s the problem with treating real estate as a a�?knowledge pursuita��. It has little to do with results.A� Our profession is a performance art. 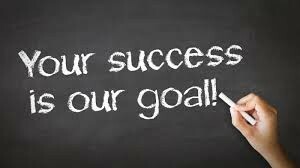 How you perform in the fielda��with real clientsa��determines your success. Big question for you: Which kind ofA�real estate professional are you? A a�?performance arta�� agent or a a�?knowledge pursuita�� agent? A�Which is easier to become? As a long-time pianist and teacher, I know intimately that, if you dona��t practice, you cana��t play (or you play badly)! Think of effective training like a piano lesson. You practice outside class. You come prepared. You get tips and modeling from your teacher. Then you practice in class with your a�?coacha�� watching and listening. Then, you a�?go out in the fielda�� and practice. You come back ready to perform for your coach again. Thata��s effective training. Relying on a�?on demanda�� video. Many large franchises are providing video on demand training. Brokers may be relieved that this is going to take training off their plates. I wish. Unfortunately, video training can provide very limited production results. Why? Because people dona��t learn much by watching video. Yes, they learn a little. They observe someone else doing something; they get information. But, they dona��t have to take action. When youa��re ready to get results from your training, youa��ll be ready to treat your training like the power tool it really can be. Want to see an effective training program? Check out Up and Running in Real Estate. And, be sure to check out my uTube channel for those 5 videos on alternative training methods. Want to Be Approved as a Clock-Hour Instructor in Washington–and Learn from Carla? Get approved for teaching real estate clock-hour approved courses. Receive 15 clock hours of continuing education credits. Learn from the only Washington’s only National Realtor Educator of the Year. Gain invaluable strategies; worth so much more than just clock hours or certification! New! Bring the course you want to teach and we’ll apply new teaching methods for you. Get strategies to be the engaging, creative instructor you know you are! May 22-23, 2018 in Bellevue, Wa.. A� A�A� Click here for more information and registration. Fall course: Oct. 23-24, 2018 in Bellevue, WA. (registration link to be included later). Need to get approved as an instructor right away? 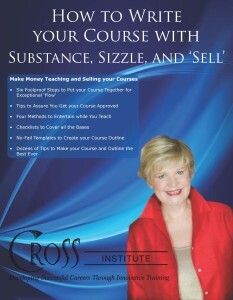 Order our distance learning courseA� Train the Trainer. Fulfills the same requirements, has the same curriculum, has 15 clock hours. Take this course at your own speed and fulfill the requirements to become a Wa. state approved clock-hour instructor. Carla is fantastic! I will always be appreciative. Kim Emmons, manager, John L Scott, Maple Valley, Wa. 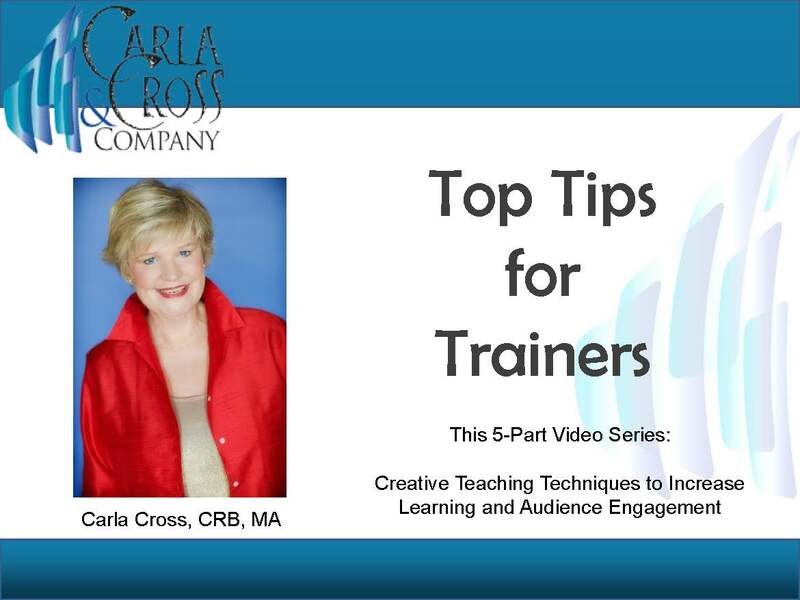 Bonus: 30% discount on 3 of Carla’s training resources to attendees. Space is limited. Don’t miss this opportunity!A�Click hereA�for more information and registration. Here’s how to fill your classroom with enthusiastic attendees. This month, we’re focusing on training. Why? Because it should be a huge part of your value proposition. After all, you can’t just recruit them–can you? You need also to have a complete development system. Coaching and training ARE your development system. Having trouble getting them to training? Authored by one of our Senior Career Coaches, Jodi Sipes, M. A., this second article of our series shows you how to market your training to attract your agents and get them excited as students! Jodia��s advanced education in adult learning, plus her years of experience creating and implementing exceptional training for new agents, gives her a unique perspective. Here are invaluable tips as you take action to control your income in these shifting markets. Youa��ll make your training an awesome recruiting tool, while making it effortless to implement training week after week. We see lots of training calendars in our training consulting. Most of them are dull as old brick! Dona��t just list the topic. Instead, get creative. Make the topic interesting, even provocative. Put a new a�?spina�� on the topic. For ideas, read the names of programs given at your state and national conventions. Some of the topic names are really creative! Let us help you create a recruiting plan that works. Then, we’ll help you career complete Career Development Systems for both new and seasoned agents. Now, you have systems. You can expand. you can relax a little. 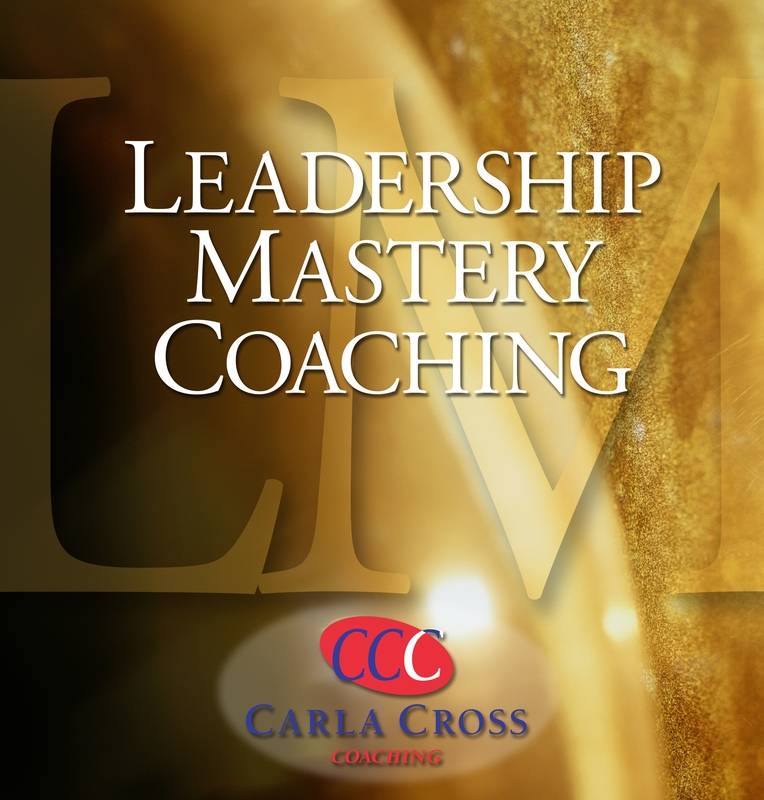 Why not check outA�Leadership Mastery CoachingA�with aA�complimentary consultation? Why don’t you have a training calendar? Here’s how to get one now. Authored by one of our Senior Career Coaches, Jodi Sipes, M. A., this blog shows you how to create a training calendar youa��re proud of. Jodia��s advanced education in adult learning, plus her years of experience creating and implementing exceptional training for new agents, gives her a unique perspective. Here are invaluable tips as you take action to control your income in these shifting markets. Youa��ll make your training an awesome recruiting tool, while making it effortless to implement training week after week. Why bother to create your yeara��s training calendar? With managers running in 50 directions at once, time management is a huge issue. Designing a training calendar allows managers to get their systems under control. 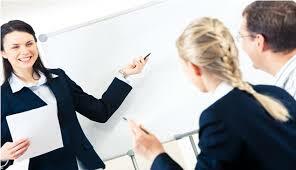 It allows managers to delegate some training duties. Outcomes: More production, more profits, and better retention! Before you try to create that calendar, consider the rhythm of your year. When do you hire the most agents, when is the market busiest, what seasonal issues do you want to address? For example, youa��ll want to decide when is a good time to focus on listings, what issues come up at tax time, etc? This will give you a good over-view of how to plan your education and training. If there were one thing my agents could do better that would raise productivity more than any other single thing, what would that be? Answer that question, and youa��ll get the major issues handled in that calendar. For example: If you have an office with many new people, you probably have fewer listings than youa��d like. Or, your listings may be sitting in your shifting market. So, a major part of your calendar will be high-activity training to the listing process, focusing on getting marketable listings. A major mistake managers make in creating calendars is to merely drop in whatever they think agents would like! Dona��t do that. Youa��re in control, and you need to train to the outcomes you needa��and should expect. a�? New agent education (how to fill in forms, how to complete quarterly taxes, etc.–this should be in sync with MLS and Realtor Association training) At Carla Cross Seminars, Inc., we call this a�?Technical Traininga�?. a�? New agent start-up plan/coaching sequence so they go to work the first week. Our start-up plan and coaching companion is Up and Running in 30 Days. a�? New agent skills training and practice/support sessions (how to answer objections, qualify buyers and sellers, etc.) Our complete training/coaching high accountability system for this is Advantage 2.0. To assure youa��ve covered the right bases, ask yourself about your desired outcome: What do you want your new agents to know, and be able to do in their first year? I know–it’s a big commitment. But, when you have your training systems fully in place, and you start measuring results, you’ll see the fruits of this labor. Click here to grab my sample new agent training calendar. Why Not Make It Easy On Yourself: Up and Running is Done for You! It takes me a year+ to write a training program, and I’ve done it several times! How long will it take you to write a program? Why reinvent the wheel? It’s enough to expect you to coach those in a program, not write it, and teach it in addition! Check out my comprehensive, high accountability,A�training/coaching programA�for agents under 2 years in the business. If you want to get them started fast, and are willing to coach them to the program, you’ll love the results. See itA�here. Trainers: Is Your Training Really a ‘Hot Mess’? Doing Everything Wrong? Or Right? a�?Oh, no. Ia��ve been doing EVERYTHING wrong!a�? 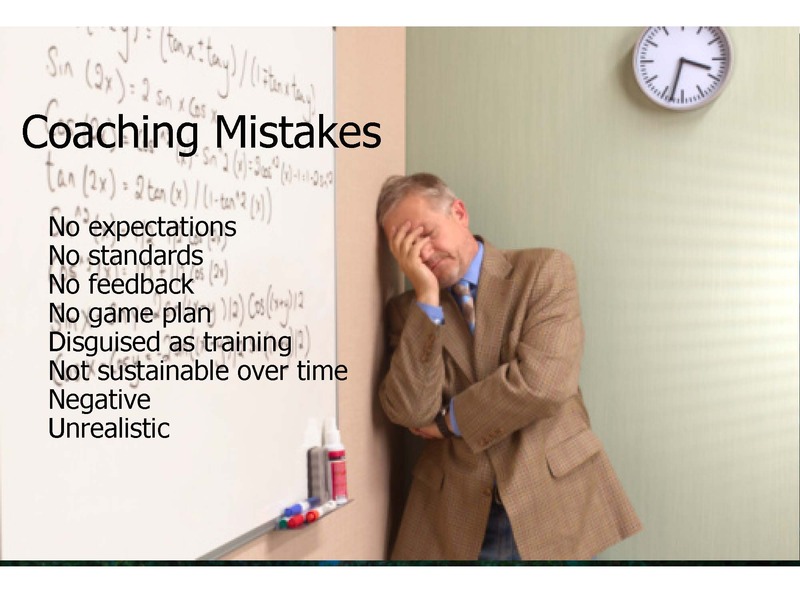 Thata��s what one of my attendees groaned after I explained the training calendar evaluation tool I created to help trainers assess their training programs. Too often, I see training programs thrown together from various cobbled (and ripped offa��.) sources. Sure. You can do that and call it your training program. But, it makes for a disjointed, shattered a�?picturea�� of your company and culture. And, it doesna��t work to get what you wanta��more production and profits. Here, I want to share an analysis tool I created that will help you see the good and challenging parts of your training program and tune it up to really make a difference in your company. Do You Really Have a Training Program? 1. 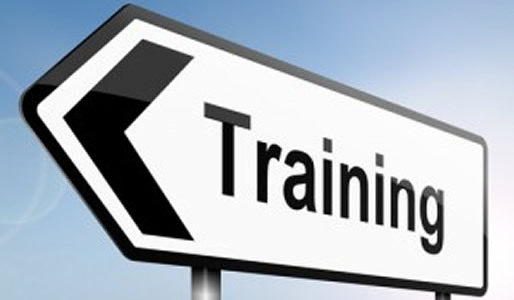 Is your training program a part of your business plan? 2. Have you created a training calendar so you know what youa��re doing and when youa��re doing it? 3. Could I look at your calendar and see exactly why you had scheduled those eventsa��and that they had cohesiveness to your a�?big picturea��? The training calendar evaluation tool I mentioned above is invaluable to see how effective your training program really isa��and to target the changes you want to make so youa��re training with purpose. At the end of this blog, Ia��ll share it with you. First, leta��s walk through it. What Kind of Training Are You Offering? Look at your training calendar. If you dona��t have one, simply take a 3-month calendar and write in the training youa��re providing. If you want to increase productivity and profits, your training calendar needs to reflect your training in these business-producing areas. What are you training to that will make a real difference in your productivity and profits next year? Put that in your business plan. What Does Your Profit and Loss Statement Tell You to Train To? Take a look at your P and L. Whata��s your ratio of listings sold to sales? Do you like that ratio? Would you like it to be different? Do you want more sold listings? If so, start training to that. When I took over a failing office, I saw the ratio of listings taken to listings sold was a miserable 30%! So, I started action-focused training on the whole listing process. I had them role-playing their hearts out. I did a listing presentation play-offsA� In short, I trained them specifically to change that ratio for the better. By the end of three years, our a�?conversiona�� ratios were 85%–the highest in the area. What is your training accomplishing? What do you need it to accomplish? Want can you measure? We segment our markets when we design our marketing plans. We need to segment our a�?marketa�� for our training plan, too. In this case, our a�?marketa�� is our agents. When I ask seasoned agents about whether there is a training program in their company, they say a�?yesa��. Ita��s for the new agent. What? Are those seasoned agents in the office chopped liver? Click hereA�to grab the training calendar evaluator. Tell me: How would you rate your training, on a scale of 1-10, 10 being fantastic? What can you do to improve it? Trainers: how to make your course ‘teachable’. If you’ve picked up someone else’sA� ‘course’, and tried to teach it, I’ll bet you know what I mean. Unfortunately, too many times, courses are written from an ‘information organization’ perspective, not a teaching perspective. In fact, because so many instructors have expressed frustration, I’ve just finished a resource on how to write a course. Let’s look at the 6 W’s that you should answer before starting to create your course: TheA�What, Why, Who, When, Where, Whata��s NextA�of your course, so you can clarify what you want to accomplish and gain focus. As I give you these, take time to answer each of these questions. 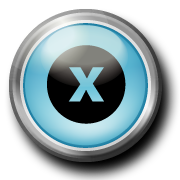 A�WhatA�course do you want to create? Take a moment and write exactly what is in my mind (and heart) about this course. Ask yourself, “Is this actually a course”? Or, is it your desire to persuade people to your point of view? That’s certainly okay in a course, but not as a whole course. Instead, you have a ‘persuasive presentation’. Sometimes we want to impart our beliefs to people or make them ‘be’ in some way, but that’s not a course. (Be responsible, be customer-service oriented, etc.) Now, it’s true that can be one of the objectives of a course, but, just getting in front of people and telling them how they should be won’t make it as a course! 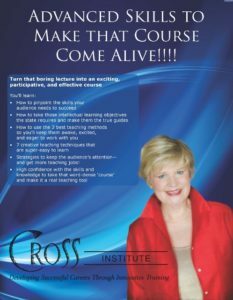 Do you see this course as an overview?A�A�A�A� An introduction?A� Comprehensive?A�A�A� A series? Why?A� What are your compelling reason(s) to create this course? Be sure it’s not just all about you…. WhoA�is this course for?A� What segment of the population do you want to address? One of the mistakes we make is not narrowing our focus to the level of expertise of our desired target audience. With 95 pages, this resource, along with the 2 instructional videos, shows you exactly how to create a course that has substance, sizzle, and ‘sell’! Thank you for a wonderful class on writing a course. This practice and hands on class has given me the confidence and tools I need to move forward with my course curriculum. I feel I have been given a business race car and I can move forward towards my dream of training agents across the country. A�Mary Lee, former head of training for Windermere Real Estate, Spokane, Wa.